I cannot wait to tell you this, so I am just going to say it… I got a NEW CAMERA! No more iPhone pictures I promise! In Fact, starting with this exact post! It was a Christmas gift that I am eternally grateful for and I have already taken about 4,000 pictures. I think my dog got so sick of me taking her picture she ended up falling asleep and ignoring me and the flash. I have been playing around with the lenses and I have about 1 style that has fit me so far! I have always been a camera enthusiast and have worked with my step-dad’s film camera, but now my digital pictures will look amazing! 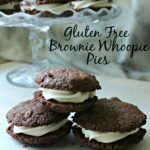 I know today is not my usual day that I post but because we did not have a link party yesterday I have decided to spoil you with 3 recipes this week! Yes 3! I have some pretty amazing ones too! I took all last week to contemplate and plan for the new years and I think I am so ready to take on 2016! 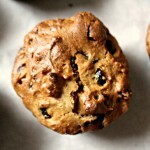 So, I have decided to start it off with some gluten free dark Chocolate cranberry muffins! Yes, they are as delicious as they sound! 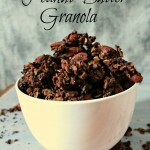 Totally moist and completely yummy for breakfast or a snack! 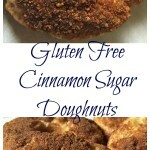 I had one for breakfast the other morning (or 2) and they are totally scrumptious! 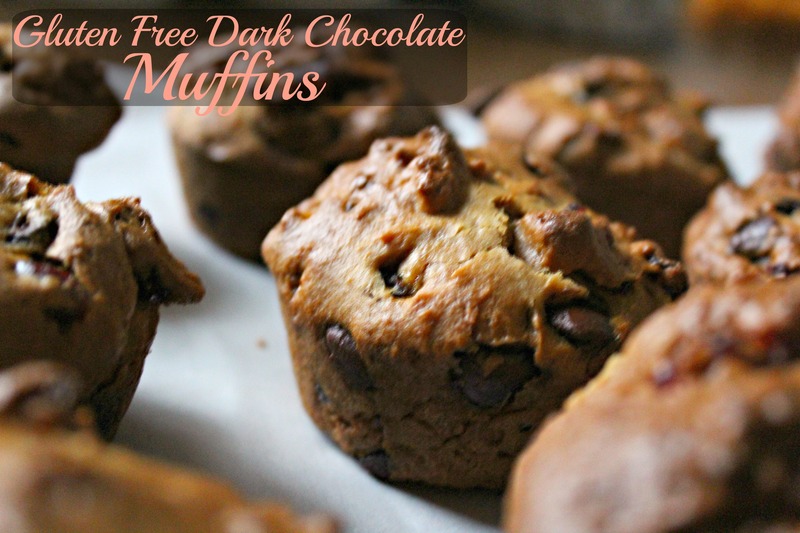 If you have a picky eater on your hands these muffins are amazing! Mix together your Rice flour, tapioca starch, xanthan gum, baking soda and salt and set aside. In the bottom of a stand mixer or mixing bowl mix together your coconut oil, sugar, egg, almond extract and butter milk or almond milk mixture. Cream all of those together and add in your dry mixture. 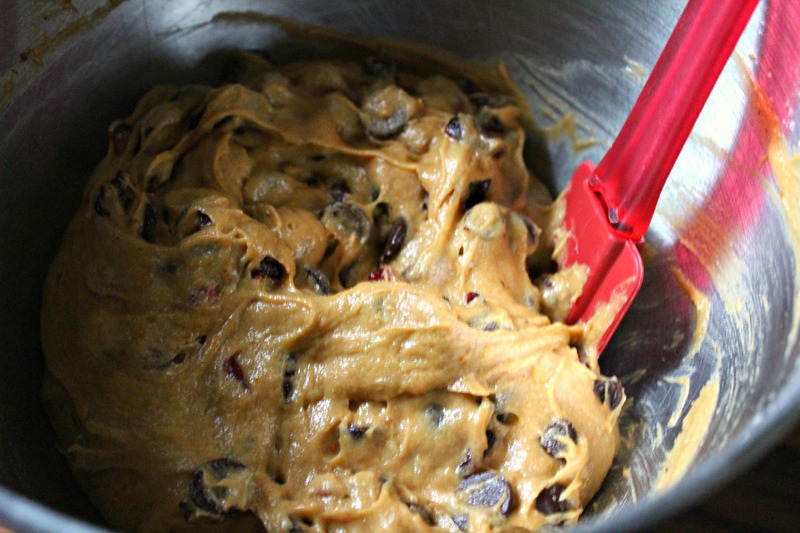 Then stir in your chocolate chips and cranberries. 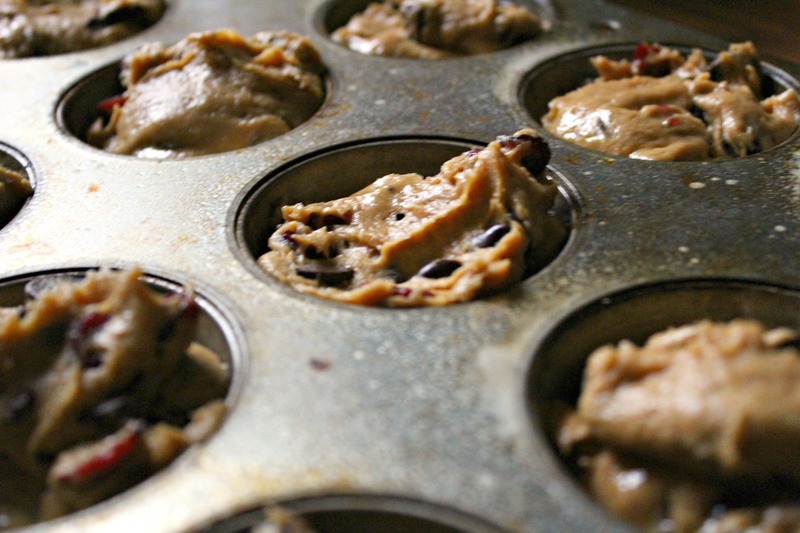 Divide the batter up evenly among the muffin tin wells. Bake for about 20 minutes or until a tooth pick inserted into the biggest muffin comes out cleans with a few crumbs on it. Let cool in the muffin tin for about 2-3 minutes and take out of muffin tin and completely cool. Enjoy with a tall glass of milk or with your coffee in the morning! 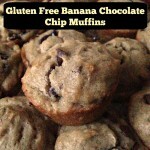 A healthier scrumptious gluten free muffin that is perfect with a glass of milk or cup of coffee. Substitute the egg with some flax seed 1 egg = 1 Tbsp of ground flax seed mixed with 3 Tbsp Water. This will give more fiber but also a vegan alternative too! Am I the only one who craves muffins on the morning? 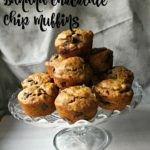 I certainly will reach for a muffin before just about anything in the morning because in the morning I am always looking for something easy, quick and even a little bit sweet at times. So, the muffins that I make most of the time must have some healthy qualities to get me through to lunch! To achieve this I have been known to either substitute my egg or just sprinkle in some flax seed or chia seeds in! If you want to substitute the egg just mix 1 Tbsp of flax seed with about 3 Tbsp of water and let it sit for a minute to gel. Add in am continue on with mixing! 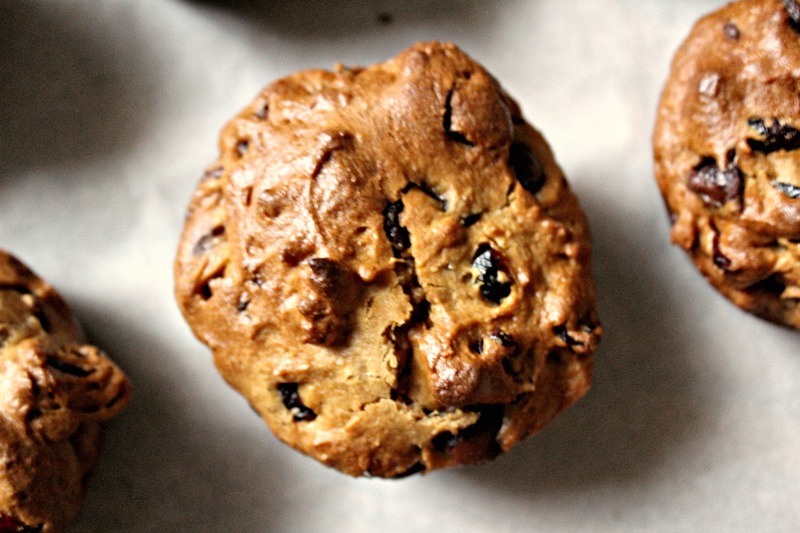 these dark chocolate cranberry muffins are perfect to add a little bit of extra fiber into them too! This coming year I am going to make myself eat more gluten free and dairy free than I have in the past! I know my weakness is cheese but milk gives me major problems so anyway I can make myself feel better I am gonna try it! What about you? are you doing anything to make yourself feel better in the new year? Maybe eating healthier or exercising or maybe just taking one step at a time to becoming an better you? Share with me! I love hearing about my readers and what they plan to accomplish in the next week, month or year! Don’t forget to follow me on Instagram (@notshabbygabby), Pinterest (@Not2ShabbyGabby), Twitter (@Not2ShabbyGabby) and Like me on Facebook too! 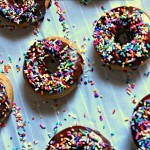 Those look so delicious and hooray for a new camera!